My name is Alfonso Moreno. 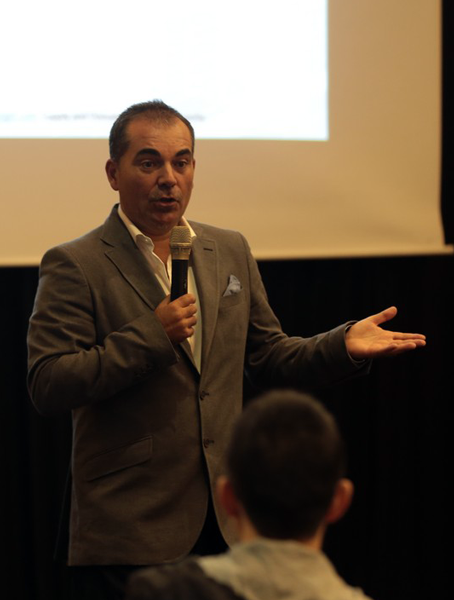 I’m a full time trader, expert technical analyst and founder of Set and Forget supply and demand online trading community back in October 2013. I have been trading the financial markets using exclusively supply and demand imbalances, a proprietary strategy developed by myself over the years which helps locate in any market turning points where professional and institutional traders are planning their trades. I've been done many things in the past, a salsa dancing teacher, croupier, web designer and photographer, most of these jobs seem unrelated but they have something in common, they allowed me to do always what I loved. Trading is not something I love but it helps me follow and fulfil my passions. Like any other trader, I’ve gone through almost all known stages, from trading intraday and scalping to adding all kind of colorful and lagging indicators to my charts which hardly allowed me to see candlesticks. I've grown as a trader and realized that trading the bigger timeframes is where the big boys place and manage their trades. I'm happy with a 3-5% return per month, in order to obtain that return I just need to trade about 30 minutes every 1-2 days, set and forget my trades and walk away. There is nothing else I can do, i won't move the candlesticks with the power of my mind or by sitting in front of my computer all day long. Visit my Timelapse Photography channel on Vimeo to learn about one of my passions. 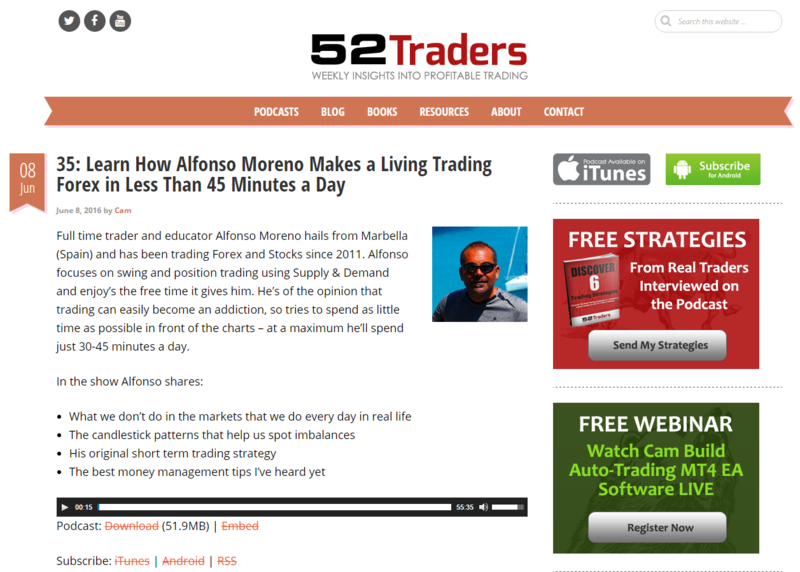 Learn more about my trading style by listening to the full one hour interview below. You will what I do and why I do it.. You will learn how easy and how complex trading can be, why patience and walking way from the charts is key to having success in the markets. Trading is a psychology game, the sooner you accept that fact the better. You can also read the interview at 52traders link, visit this page.